Learn about one of our most powerful methods geared toward regaining the trust of your significant other after a breakup. Discover the right ways to make an ex fall for you again through powerful words and by stirring the right emotions! This Audio Seminar is one of the most important we’ve ever created. Why? Because it successfully assists individuals in reestablishing contact with their significant others the right way. Words are powerful triggers, and if you use the right ones, you’ll be able to make your ex doubt their decision to end the relationship. If you’ve made big mistakes; if you’re having trouble reestablishing contact with your significant other; if you simply can’t break through to them: this is the right Audio Seminar for you. This method, coined and mastered by our company founder, Alexandre Cormont, is also know as the French Method to get back with an ex. 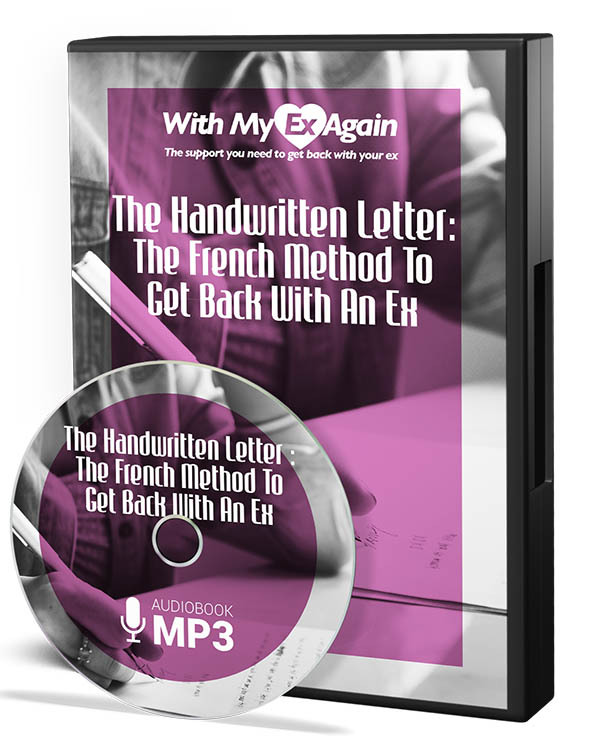 It deals with the power of the handwritten letter, a practice Alex developed over 10 years ago. Since then, we’ve helped countless individuals from all over the world express their inner thoughts the right way, and touch the heart and mind of the person they love most. What you’ll find in this Audio Seminar? Part 1: Why it’s important to quickly implement a Radio Silence? Part 2: How to implement a successful Radio Silence? Part 3: The types of relationships and breakups when it’s appropriate to do a Radio Silence? Are you ready to reach out to your ex? How to prove that you’ve evolved? Are you ready to meet your ex’s true needs? How to write a good letter if you’re not a good writer? What does your ex truly want? Why the handwritten letter is a unique tool? Why you should write a powerful handwritten letter? Are you prepared to be self-critical? How can you trigger a positive reaction from an ex? Do you know the difference between a promise and a solution? What is your ex really thinking? What are the right emotions to convey to an ex? The common mistakes that most people make! How to set expectations and move forward towards your goals? What types of breakup absolutely require a handwritten letter? If you should you do a Radio Silence prior to sending your letter? How to communicate with an ex before and after the letter? When you should never send a letter? How to plant seeds of doubt in your exes mind? How to prove that you’ve really evolved? How to measure your evolution on a daily basis? How to avoid making the same mistakes? Why it is essential for you to believe that you can succeed and how to get there? What is the best way to send a letter to an ex? What is the best format? How to communicate with your ex after the letter?